Bonn, 9 April 2015- The leading captive breeding centre for Saiga antelopes (Saiga spp.) has lost almost its entire stock of animals as a result of an unidentified disease. The Centre for Wild Animals of Kalmykia in the Russian Federation is known internationally for its contribution to saiga research and conservation, thereby playing an important part in implementing the CMS Memorandum of Understanding (MOU) on Saiga Antelopes. From a captive population of more than 90 animals, only four individuals are left, including just one adult male. A drought in 2014 coupled with supplementary feeding may be connected to the mass mortality. However, veterinarians have been unable to identify the cause of the deaths conclusively. This news comes at a time when the wild Precaspian saiga population in southern Russia is under heavy pressure from poaching. Since its foundation in 2002, the Centre for Wild Animals has not only played a major role in raising awareness through regular visits by schools, students and tourists, but has also made research into the behaviour and ecology of the saiga antelope feasible, which would be impossible in the wild. Dramatic close-up scenes of saiga males fighting during rutting currently shown on PBS as part of the “Earth a new Wild” series were shot at the Centre prior to the mass mortality and give an indication of the role this captive breeding centre plays for research and observation. Due to the catastrophic loss of saiga and a lack of funding the centre was recently forced to shut its doors to visitors. All scientific research and community outreach activities have been put on hold. Emergency funds are much needed and are currently being collected by the Saiga Conservation Alliance, one of the Cooperating Organizations that have signed the CMS Saiga MOU and are active partners in conserving this magnificent migratory species. 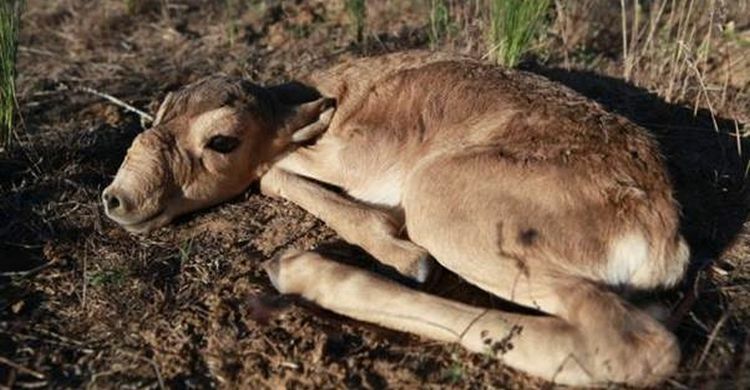 Captive breeding is an important part of the global conservation strategy for saigas, the Medium-Term International Work Programme 2011-2015 under the CMS MOU. Funds permitting, a Third Meeting of Signatories of the MOU is tentatively scheduled for autumn 2015 to discuss the many aspects of saiga conservation from monitoring to anti-poaching action, to review progress and to set priorities for the 2016-2020.